Take a break from the city and head to Waychinicup National Park and Greens Pool. 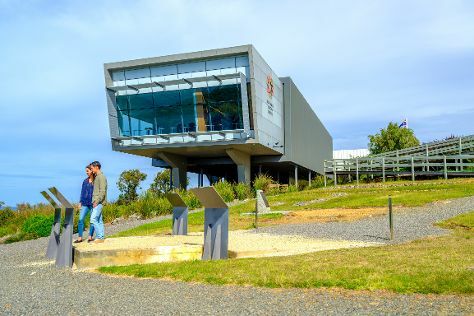 Your cultural itinerary includes sights like National Anzac Centre and Albany's Historic Whaling Station. There's still lots to do: explore the activities along Kalgan River, pause for some serene contemplation at The Church of Saint John the Evangelist, and enjoy the sea views from Point King Lighthouse. Inspirock's itinerary builder makes planning a Albany trip simple and quick. In April in Albany, expect temperatures between 25°C during the day and 13°C at night. Cap off your sightseeing on the 25th (Thu) early enough to travel back home.